We believe electric cars are great. They reduce emissions by about 75-80% compared to gasoline cars. And they cost less to run because it’s cheaper to run on electricity than petroleum and they require less maintenance. But for the time being, without governmental incentives, the cost of the battery generally makes electric vehicles (EVs) cost a bit more upfront. So federal tax credits and state rebates are important for the next few years until battery costs come down a bit more. If you’re in the market for a new car and considering an EV (as you should! ), here’s news you can use. 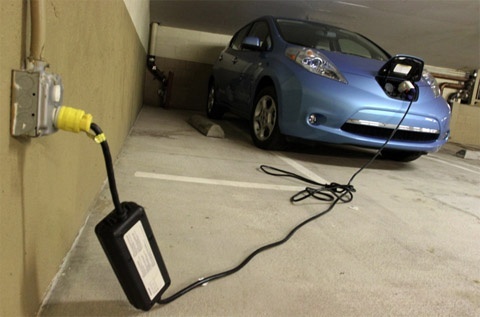 For most of us, charging our electric car at home can be very easy. Today, there are already a lot of places to charge away from home – probably a lot more than most people think. And they’re easy to find. More public charging stations are being built every day and there are lots more coming in the next 3-5 years. You won’t need to charge as often as you think. Today’s all-electrics have such large ranges that you likely won’t need to charge every night, and even the plug-in hybrids available today have ranges that exceed what most of us drive in a day. We launched Drive Green with Mass Energy and Drive Green with People’s Power & Light in November 2016 and have been rolling along merrily ever since. Here’s what’s new with our program and the world of electric vehicles (EVs) overall. 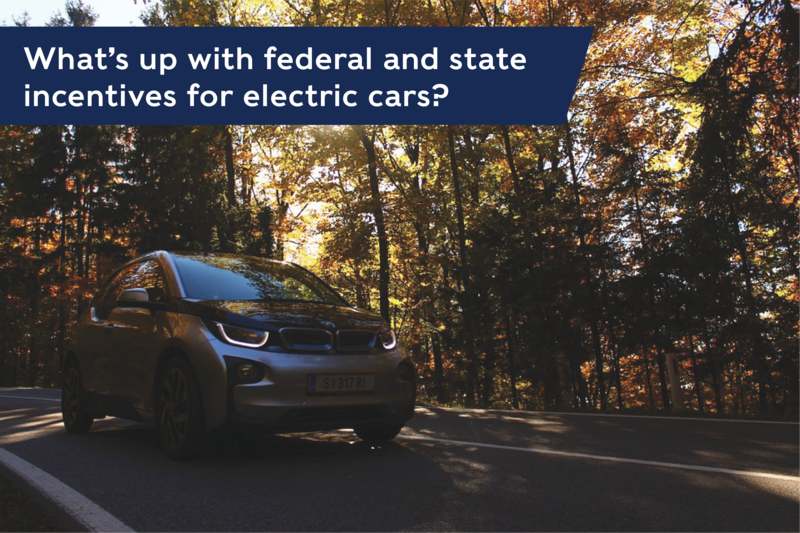 As you may have heard, the existing federal tax credit of up to $7,500 for electric vehicles (EVs) would be repealed under the tax legislation filed in the U.S. House of Representatives with support from the White House last week. 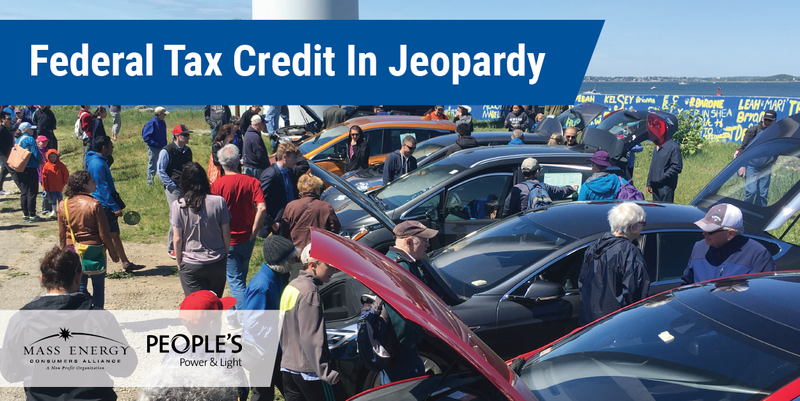 If the tax bill is passed in its current form, the EV tax credit would be available for 2017 purchases but not for 2018 and beyond. We strongly oppose the repeal of the EV tax credit. If you are concerned too, please contact your US Representative and express your feelings. But honestly, we know that the Massachusetts and Rhode Island delegations will be opposed to the tax bill for several reasons.